Making an impact around the country our well equipped fitting vans now vividly promote modern outdoor living – with impressive graphic signage showcasing a full garden veranda across the sides. Displaying a huge Glass Veranda left and right, and listing our Garden Glass Rooms at the rear, vinyl wrapping now follows every contour of our fitting vehicles – indeed customers could be forgiven for thinking that their veranda has arrived fully built on the driveway! Signwriting can be good for business and shows commitment. According to statistics, a busy vehicle can be seen by as many as 3,000 people per hour, but equally it’s the message of professional dedication that signage puts across. In short, a “business does what it say’s on the van”. I once had my house gutters and fascia’s replaced and was preoccupied from the start seeing contractors arrive in a garden fencing truck. Pulling up, I thought (or rather I hoped) that they’d found the wrong address. I’m not alone either, in a survey by a well known leasing firm, 59% of respondents said that seeing a professional identity on a vehicle gave them confidence in the quality of work to be done, increasing to 74% with younger customers. 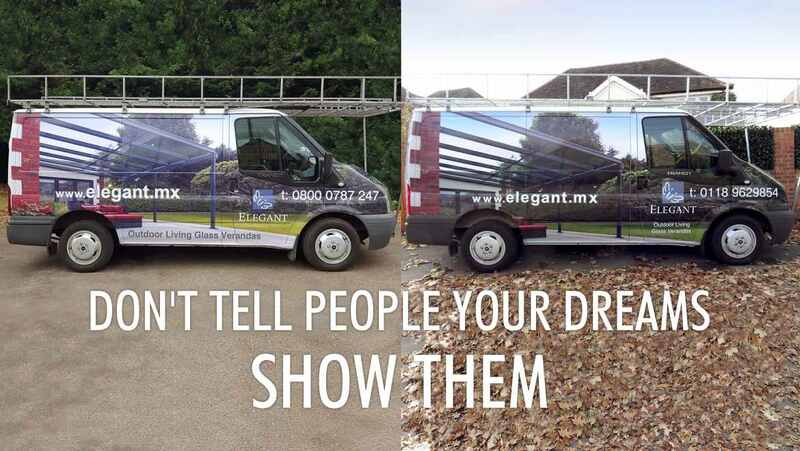 At Elegant we wanted our professional roadside image to reflect dedication to the product and show our high quality installation work. Keep it simple, they say, customers want to see your Brand Name, Telephone and Website and we worked on two versions of a design that respects this simplicity while slipping “Outdoor Living” into the message. Finally, “www.elegant.mx” is simply a shorter url linking to this website here – making eyeballed contact as easy as possible. 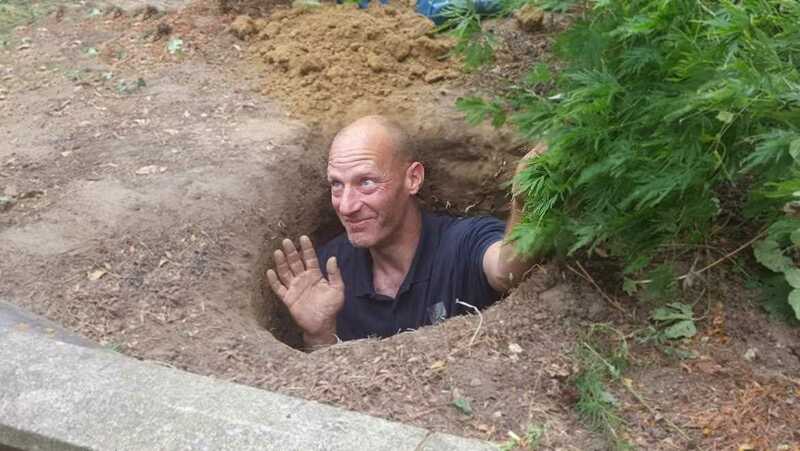 Our installer Lee recently emailed this photo while digging soak-away holes during a Veranda installation, noting “The first law of holes; if you are in one – stop digging!”. 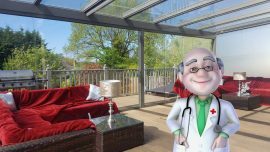 Elegant are established UK experts in installing Veranda patio roof canopies and Glass Garden Rooms. 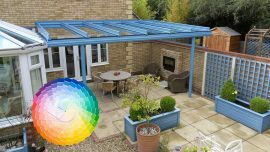 Bespoke made-to-measure, using powder coated aluminium, we take pride in our reputation for providing finest quality products with excellent customer service. Our team are available to help seven days a week. Content © copyright Elegant Installations Ltd.